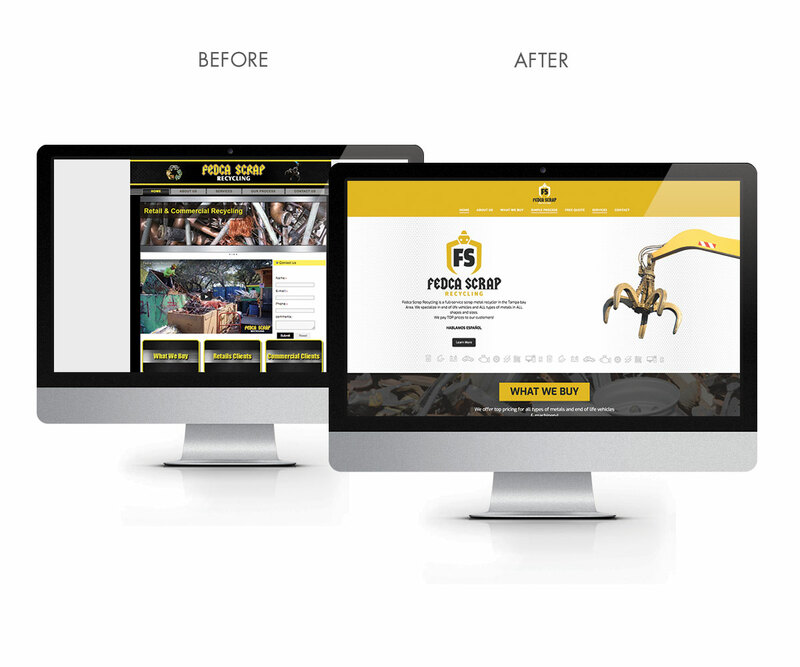 We relished the opportunity to rebrand Fedca Scrap. Fedca Scrap is a Tampa, Florida scrap metal company and serves local customers around the Tampa Bay area. They had a dated look which we modernized and completely transformed. We began with a new logo design. Once that was completed we moved on to their corporate identity set – letterhead, business cards, envelopes were all designed by our artists. We also designed a 6 panel brochure for customers who come to visit. We also built them a new mobile responsive website that is better setup to convert leads that come in. Have a look for yourself at http://fedcascraprecycling.com.